I don't know about you but one of the things I like about being a writer is the amount of time I get to spend alone. Ever since I was a little girl, reading my way through the local children's library, I've been comfortable with my own company (never truly alone, because you aren't with a book) and now I'm mostly grown up, I'm still OK with not talking to another living soul for several days. Not that I get to go several days usually, but on the rare occasion it happens, I don't feel lonely. So when I heard (last year) about a February meeting of children's writers, some of whom I knew online and others I'd heard of, I wasn't immediately sure I wanted to go. But one of my writing resolutions for this year is to socialise with fellow writers more, so I booked up and promptly forgot about it. The weekend of the meet up arrived and last Saturday morning, I found myself looking for excuses not to go - I'd had a chest infection I wasn't completely over, it was snowing, the baby needed me, the dog needed me and (scraping the bottom of the barrel) surely my husband needed me for something. Once again, I reminded myself that I was meant to be being more sociable and set off, hoping for friendly faces when I arrived at the snowdrop-bedecked Orton Hall in Peterborough. Of course, I needn't have worried - children's writers are famously lovely and the ones I was spending the next day and a half with were no exception. Funny, friendly and so generous with their experience and expertise, they were a pleasure to be around. I learned a lot but, more importantly, I was reminded that while you can talk to friends and family about the business of writing, no one understands you better than another writer. Over the course of the day, and then again over dinner, I talked to a lot of lovely people, all of whom knew what it was to receive a flurry of rejections, or get a character just exactly right, or just worry that you're RUBBISH. On Sunday, some of them very generously shared the ways in which they'd improved their social networking or helped sales or thought outside the box and introduced new ways of working. At lunchtime on Sunday I made my way home, feeling inspired and refreshed and a little bit better equipped to deal with the ups and downs of writing. Of course, it will come as no surprise to any of you when I say that the brilliant group of writers I met was the SAS. Thanks for making a virgin Sassie so welcome, I'm so glad I went - bring on next year! Yes, it was a great weekend. I am sitting reading through my notebook. Really nice to meet you, Tamsyn, and thank you for this photo. I must have been too busy talking to get outside and find the snowdrops. But - brrr! - it did look a bit cold at times too. Wasn't it fun? Thanks for this nice post about it. 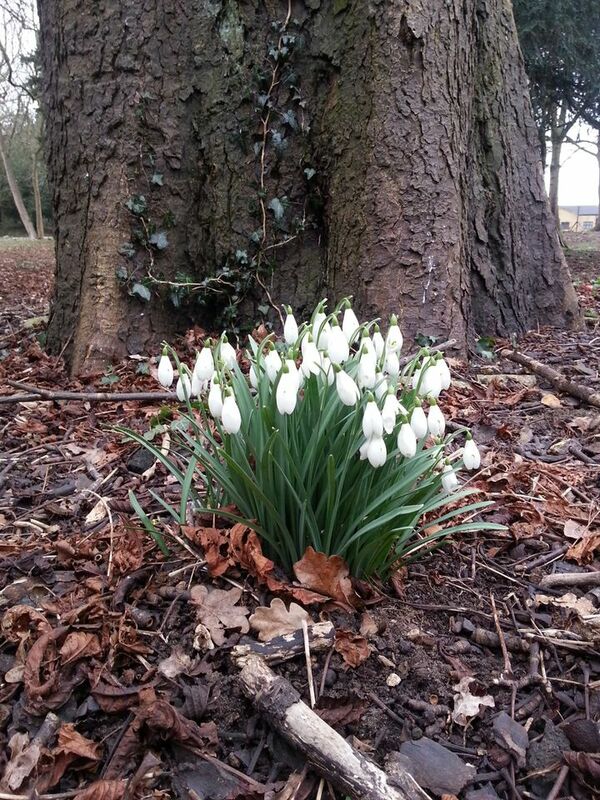 I too, didn't get to the snowdrops but they look super. Hi Penny, great to meet you too! 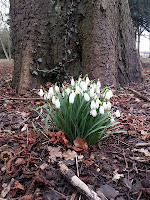 I snapped the snowdrop pics on the way home but wish I'd taken more photos - something to remedy next year! It was great fun and fabulous to meet you, Adele. I was slightly in awe of you but you put me at ease very quickly. Ah yes, real life! Good to meet you finally, Anne. Hi Susan - I was silly to worry. I wish I could share some of the brilliant tips I picked up but you know the rules! Maybe I'll see you next year?